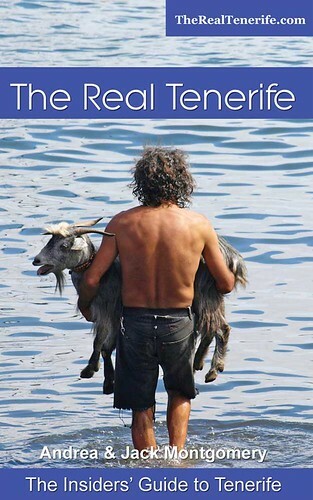 An article I wrote for our The Real Tenerife site about Tenerife’s reputation as a walking destination referenced some big names in the world of travel guides. Some of their recommendations for places to walk on Tenerife got me thinking about the choices. 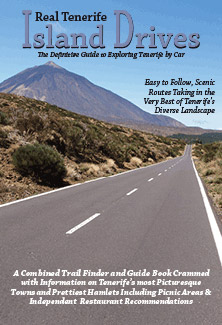 Lonely Planet suggested Teide National Park, specifically the hike to the summit of Mount Teide. 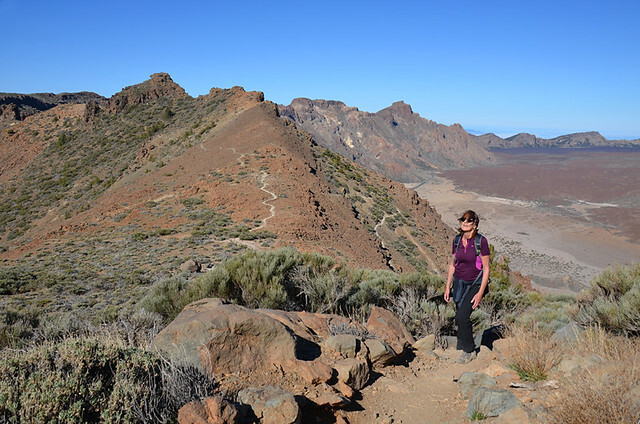 It’s one of THE classic Tenerife walks for sure, but a copywriter who’d never set foot on Tenerife and who was sitting at a desk in London writing for a mass tourism company would know that within a minute of searching online. Ditto for LP’s other recommendation, Masca. 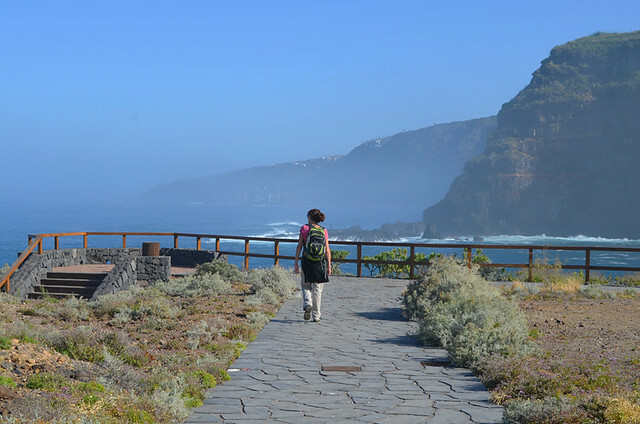 Both are fabulous walks, but anyone who knows anything about Tenerife already is aware of that. In both Teide National Park and Masca you’ll find, as well as hikers, people who are totally unprepared for the terrain, deposited on a daily basis by an endless succession of coaches. 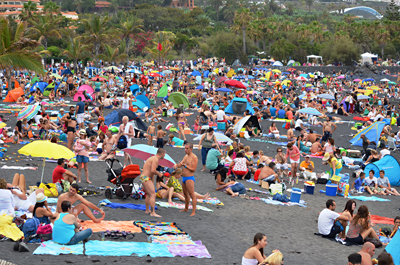 They are the two most popular natural attractions on Tenerife. For walkers who enjoy solitude and having nature if not exactly to themselves but without an army of selfie-takers clogging up the surrounding scenery, there are crowd-free alternatives which are as pleasing to the eye. 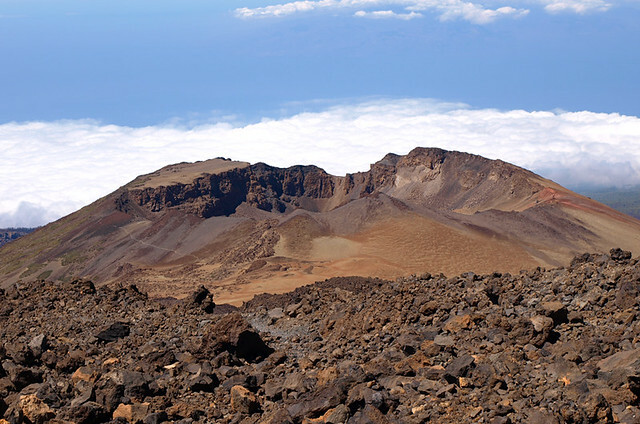 As an alternative to climbing to the summit of Teide, huff and puff your way up Mount Guajara on the opposite side of the crater. At 2718m the peak is 1000m lower than Teide, but it’s still more than double the altitude of Britain’s highest mountain. A fact your lungs will soon verify. If anything, I think the views of Teide National Park are more impressive from Guajara than from Teide. Plus you get Spain’s highest mountain in the scene as well. There are now two official paths leading to the summit, one of them more challenging than the other. The most ridiculously busy route we followed on Tenerife this year was the almond blossom route above the Valle de Santiago, there were hundreds of fellow walkers on the trail. Admittedly the route is only like that during the period the almond trees are in bloom, but for a valley which doesn’t attract the masses try El Palmar. Located in the north west, it’s too far from the main tourist resorts and centres of populations to attract too many people. 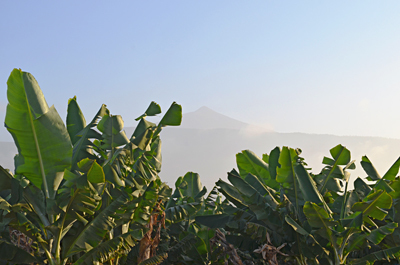 Additionally, it’s one of the most eye-catching valleys on Tenerife. I love tackling the Masca Barranco. As an experienced walker friend pointed out when he walked it for the first time this year, it’s more of an adventure trail than a walking route. Discovering this is something which must shock many, many people who turn up expecting a stroll in the park. I love the route, but I hate the fact it’s been exploited by so many tour companies. 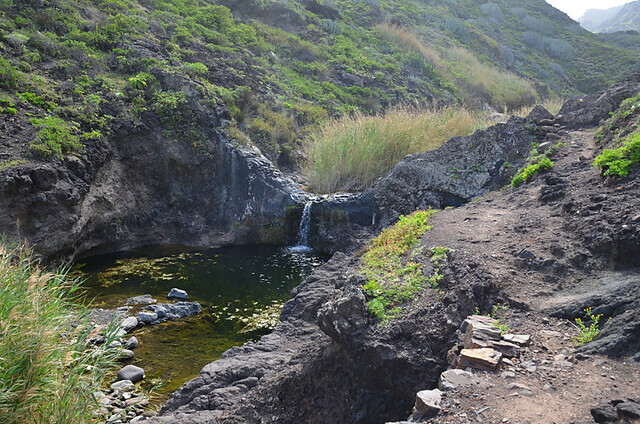 Thankfully there are plenty of other ravaging ravines all across Tenerife. 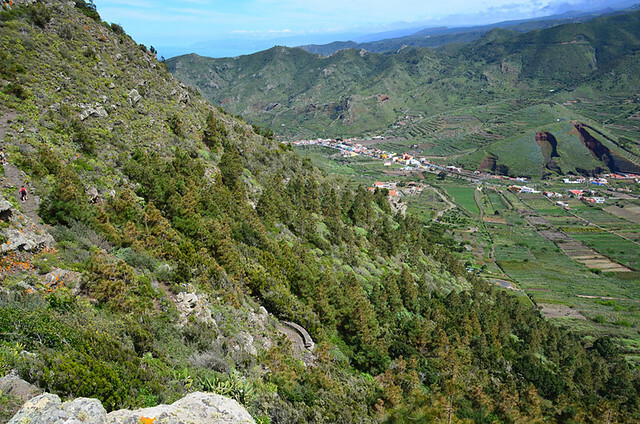 One alternative is the trail from Afur to the coast in Anaga. You get a mountain hamlet tucked into the folds of the hills, scenic drama, streams and mini waterfalls, and the beach at the end is better than Masca’s. The downside is there’s no boat waiting to whisk you away. On the upside, the return route is quite spectacular. I mentioned at the start that Teide National Park was invariably referenced when travel sites recommend places to walk on Tenerife. But most tend to concentrate on the mountain centrepiece. It’s a huge crater with more than enough space to absorb thousands of visitors. As most coach excursions come from the main resort areas, the southern end of the park around Roques de Garcia and the cable car tend to be the busiest. Stick to paths on the northern side and claustrophobia caused by crowds won’t be a problem. In truth, most people don’t stray far from their coaches or the cable car stations, so a few minutes along just about any path in the park will get rid of the crowds. 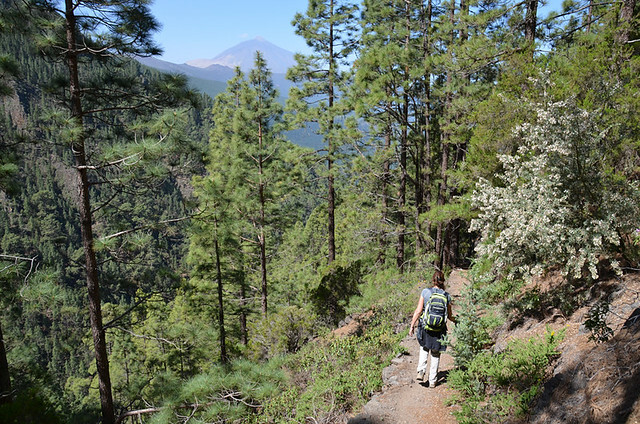 Initially I was going to suggest an alternative to walking in the pine forest in the upper Orotava Valley. 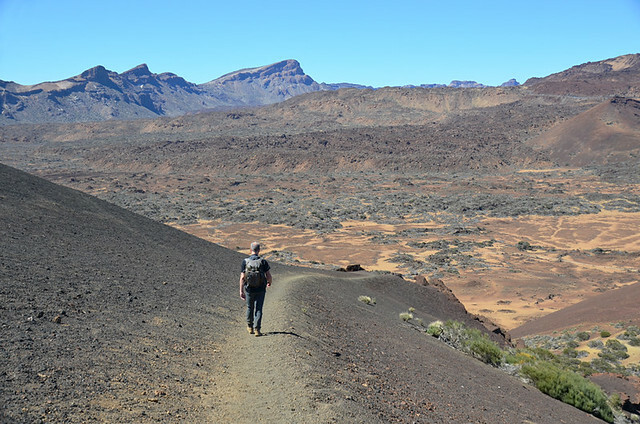 But, as it’s never that busy except around La Caldera, it could amount to suggesting a lesser forest hiking experience on Tenerife just for the sake of fitting in with my theme. So I won’t. Go walk in Orotava, it’s beautiful and very, very peaceful up there. It’s interesting that many coastal walks on Tenerife aren’t usually very busy, the Geranium Walk through the main southern resorts being an obvious exception. We never encounter too many people on our favourite coastal routes, maybe because the best aren’t close to resort areas. Rambla del Castro in Los Realejos is probably one of the most popular these days. A north coast alternative is the coastal path at El Sauzal. It’s not the easiest to find and is only just over a couple of kilometres long, but the rewards are coves, caves, rock pools, view points along the north coast, protected plant species, a little church and the remains of small fishing communities. In each section I’ve included only one suggestion simply to show there are usually alternatives to the most popular hiking recommendations you’re likely to see on many travel websites. 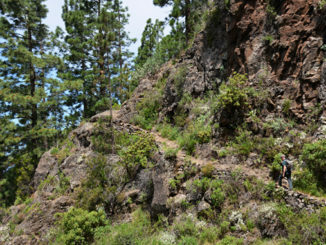 In reality Tenerife has a massive variety of choice and many paths which remain off the beaten track. 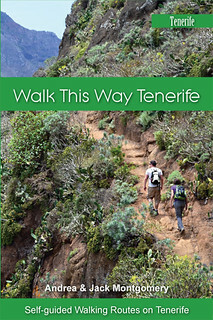 Most of the routes mentioned above are included in our Real Tenerife Island Walks PDFs and Walk this Way Tenerife guidebook.